Charles "Chuck" Rolinski, now retired from coaching after 34 seasons at Toluca High School, is called by many the "father" of the two-class Illinois state basketball tournament, and the driving force beyond its creation. 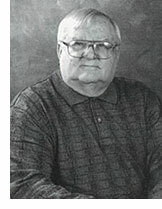 Rolinski was an early crusader for dividing the state basketball field into large and small school classes. His efforts paid off with the 1972 Class A and AA state finals. Shortly after winning the 1972 Class A state championship, Lawrenceville Coach Ron Felling thanked Toluca's Chuck Rolinski for making it all possible. Chuck retired last March after 34 years as head basketball coach at Toluca, with a 649-262 record to tie the late Gay Kintner of Decatur for seventh on the all-time list. His first Wildcats team, in 1956-67, had a 17-6 record. 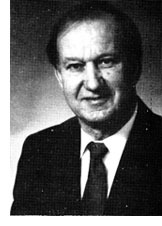 Rolinski won 59 major championships, including 16 Tri-County conference titles, 14 regional titles, and three Sweet 16 appearances. He piloted three regular season undefeated teams at Toluca - 1959, 1964, and 1984. He also served as baseball coach for the small Marshall County school, with a 72-1 record over one eight-year string of Tri-County Conference titles. A former Toluca player and Class of 1950 valedictorian, the former infantry sergeant returned from Korea and coached two grade school programs in Toluca while taking 68 academic hours in one year at Illinois State University. Rolinski and his wife, Anita, still live in Toluca, where he runs the Illinois Basketball Coaches Association as its secretary-treasurer. He still avidly supports the Toluca Basketball program.